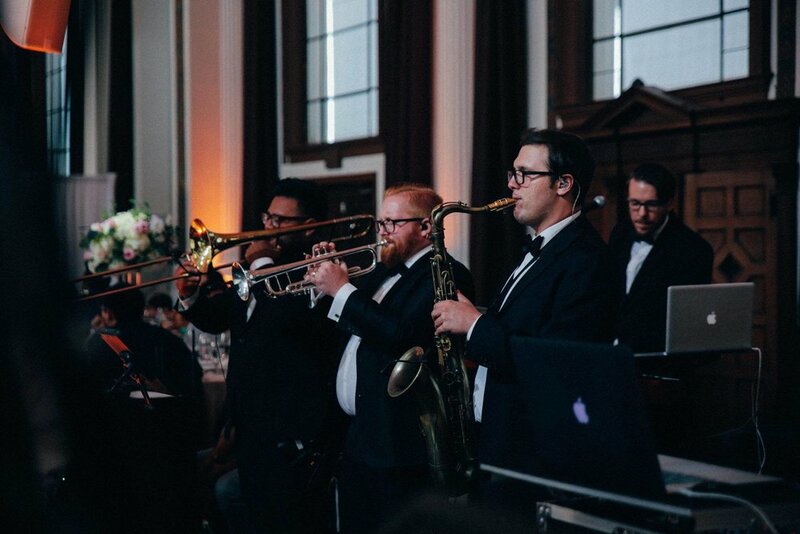 "There’s nothing quite like a live band at a wedding. A great one will give your party a huge energy boost, and becomes interactive entertainment that will have your guests dancing all night long. The only downside? Bands need breaks, which means a pause in the music. But the fun doesn’t have to stop just because the band isn’t on stage! 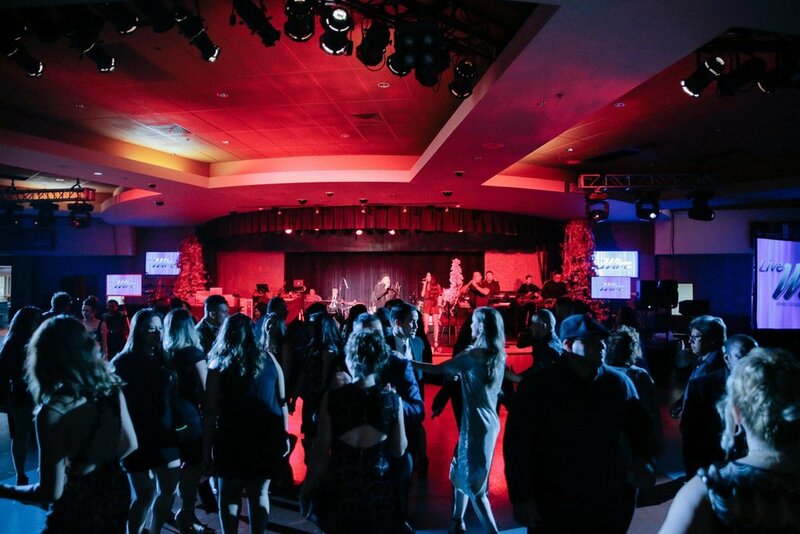 We’ve rounded up a few tips to keep the party going." Work with your band to time the breaks so they fit into your evening’s timeline. First and foremost, feed your band before the reception begins. The break for dinner is usually the longest, so if you can arrange to have the band members eat before they get on stage, the following breaks will be shorter. 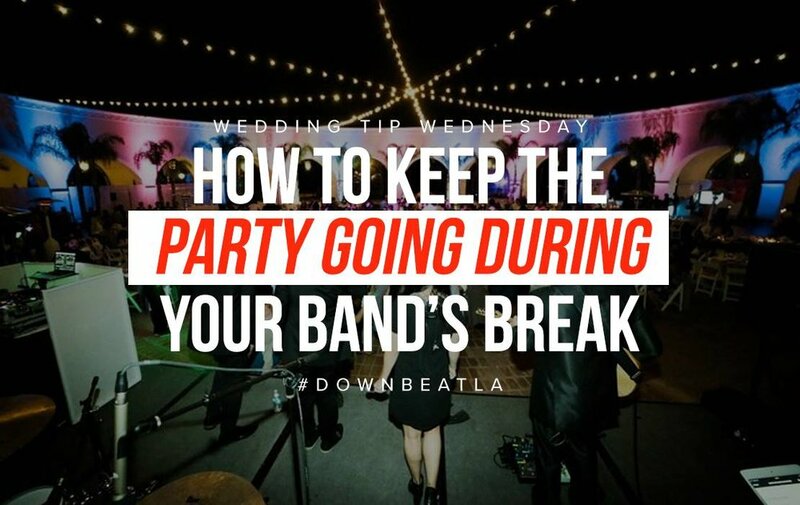 If the band will be playing during cocktail hour, time their first break to take place while your guests are eating. A playlist of background music will fill the space, but will barely be heard over the clinking of forks and knives, anyway! For the next break, grab the mic for toasts. Three-to-five minute speeches from the maid of honor, best man, and your parents will fill up that break in no-time! You could also add the cake cutting here. For a break later in the evening, have the garter or bouquet toss, or take a moment to say a few words yourselves while the caterer passes coffee and late-night bites. Even if you’ve got your timeline totally ironed out, allow your band to be flexible with when they take breaks. That way, if the dance floor is packed right when their 9:30 break is supposed to begin, the band can continue for a song or two and bump their break back so as not to kill the energy. 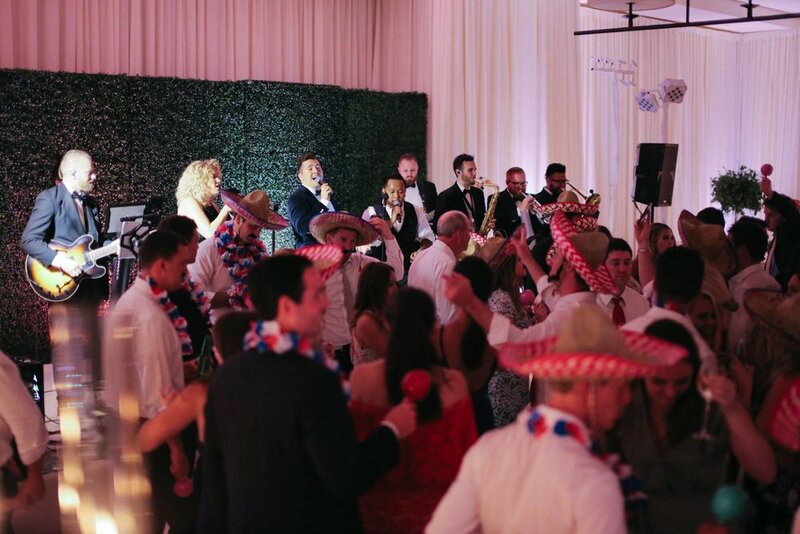 The same goes for things like the bouquet toss—if everyone’s grooving, wait until there’s a lull in energy and use it as a reason to get everyone back on the dance floor. Of course, a band break doesn’t mean guests have to stop dancing. Many bands will provide a playlist on an iPod that can play while they’re on their break, or you can customize the playlist yourselves. Just be thoughtful when doing so, and ask to review the playlist your band will be providing. If you’ve chosen a band known for their dance floor-filling tunes, your playlist should have the same energy—smooth jazz will just be a total buzz-kill. If you’re going for more of a mellow vibe, stick with the same types of music instead of jolting guests with something uptempo. For a genre-specific band, the break music should flow seamlessly—no Latin hits in between sets from your ‘80s cover band!